We have the Fenty Beauty Diamond Anniversary Collection coming next week in order to celebrate the 1 year anniversary of the brand. 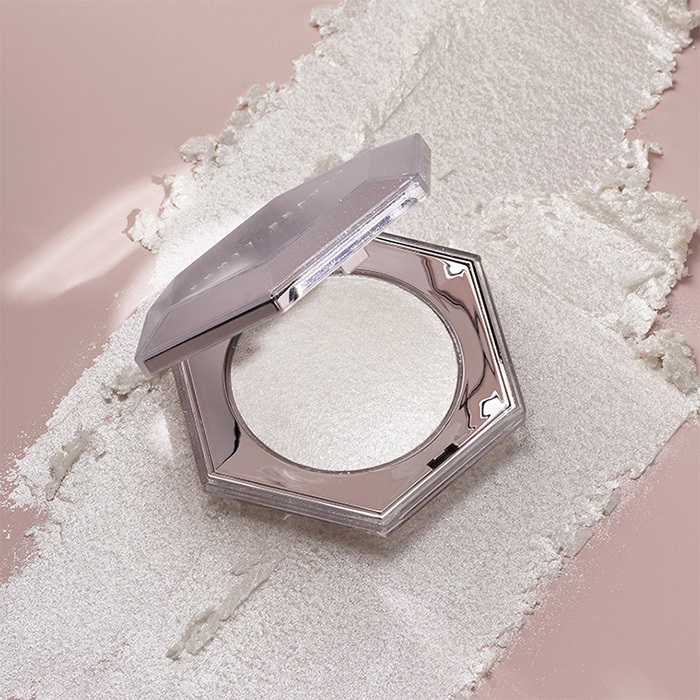 To celebrate the 1 year anniversary of Fenty Beauty by Rihanna, Rihanna curated a brand new duo of next-level shimmering textures that will leave you dripping in diamonds. THE stop-everything, give-it-to-me gloss that feels as good as it looks is now available in a new universal milky pearl shade: Diamond Milk. Like the original universal shade, Fenty Glow, Diamond Milk was hand-picked by Rihanna herself to give lips a shimmering wash of pearl that’s like a dewy highlight for your lips! Glaze your lips in Diamond Milk with the same XXL wand as the original to give lips more to love, while conditioning shea butter enriches from within. Lips look instantly fuller and smoother, with the same non-sticky formula that’s super shiny and has that addictive peach-vanilla scent you just can’t get enough of. Now in two shades, Gloss Bomb delivers explosive shine and the ultimate finishing touch to any look! Ice yourself in insane diamond-dusted sparkle from head to toe! Take glitter to a whole new extreme with Diamond Bomb All-Over Diamond Veil, a 3D shimmering formula that’ll leave your face and body crystal-coated, the way only Rihanna knows how. 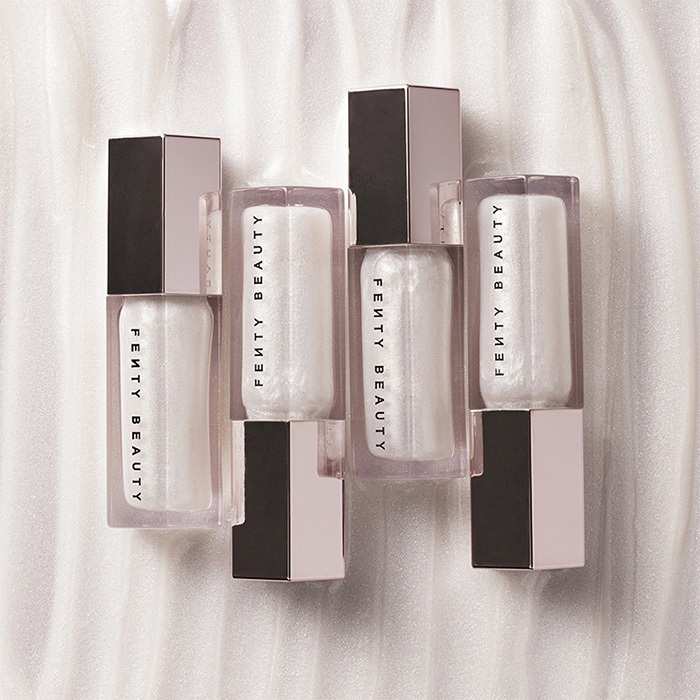 Diamond Bomb was inspired by the crystal dress Rihanna rocked at the CFDA Awards in 2014 and features a unique jelly-powder formula that’s bouncy, cool to the touch, and melts into skin like butter. This new highlighter is loaded with 100% pure brilliance to create an all-glitz-no-grit finish that decks out every skin tone in one perfectly universal shade: How Many Carats?! Plus, all of this glittery goodness comes in a faceted jewel-like compact you’ll never want to put down. In typical Rihanna fashion she has been testing and perfecting this product for months and she even gave a sneak peek wearing it all over her body at Crop Over 2017.